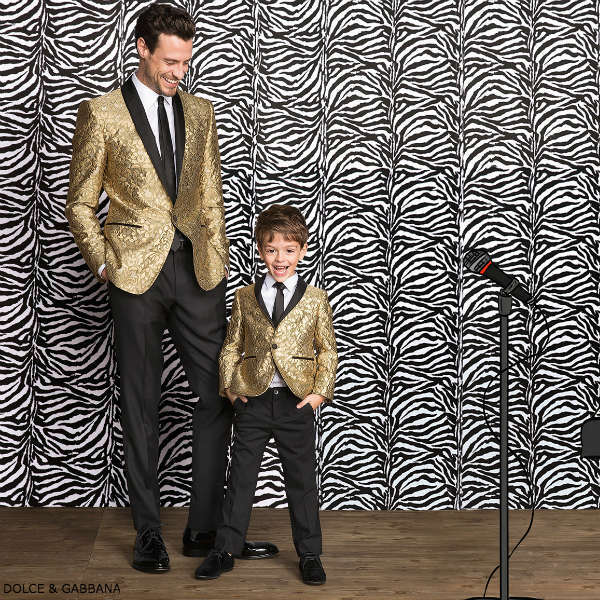 Now this is a WOW mini me look for boys by Dolce & Gabbana featuring this Boys gold silk jacquard blazer. Perfect for any special occasion this stunning jacket is beautifully tailored, with a black silk lapel and pocket linings, and a silky lining and open vent at the back. Complete the look with a pair of Dolce & Gabbana Black Cropped Cotton Trousers, White Cotton Button Down Shirt, Neck Tie and Black Dress Shoes. 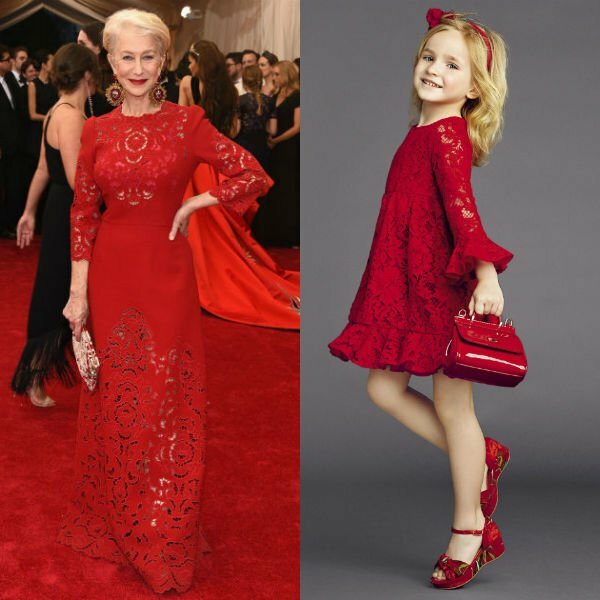 This Daddy and Me look was inspired by the Dolce & Gabbana Men’s Spring Summer 2017 Music Trend Runway Show at Milan Fashion Week.